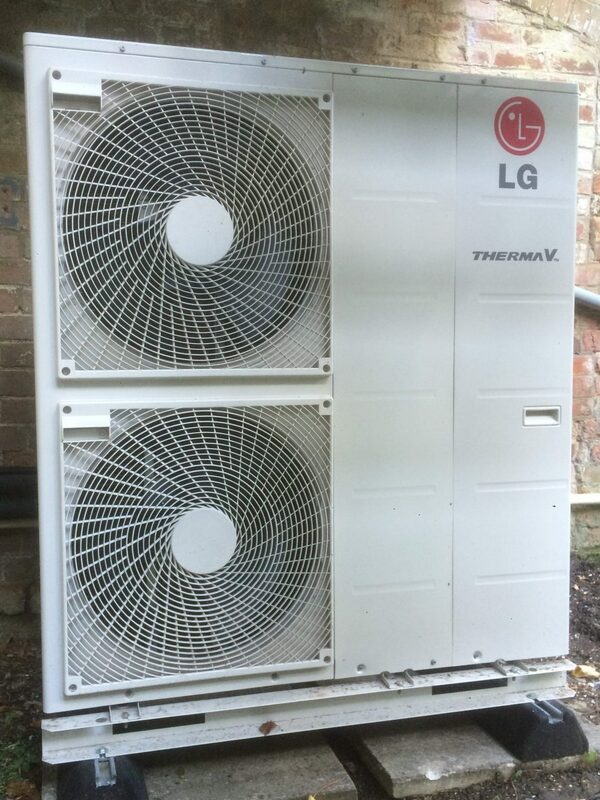 The Therma V R32 is LG’s newest Air Source Heat Pump system, especially designed for new houses and renovations. Therma V can be used for various heating solutions e.g. underfloor heating, radiators or for hot water. THERMA V R32 Monobloc is equipped with the R32 refrigerant, the environmentally sustainable refrigerant which has a Global Warming Potential of 675, 70％ lower than that of R410A’s. 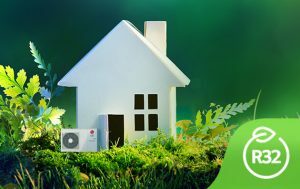 With R32 refrigerant, THERMA V R32 Monobloc is highly energy efficient as a greener heating solution. THERMA V R32 Monobloc provides reliable and powerful heating for the indoor environment. It can operate even at extremely cold weather like -25°C. It can offer a maximum water flow temperature of 65°C. 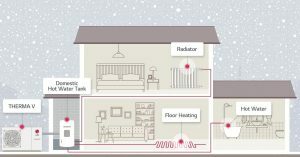 Therma V offers the best solution for home heating and hot water supply with LG’s inverter technology. It is 4 times more energy efficient than a boiler system by absorbing energy from the outdoor environment. 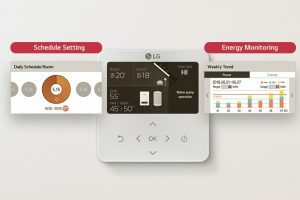 The intuitive UI allows quick and easy use with a simple touch and users can set schedules based on their lifestyles. Moreover, daily or monthly monitoring of power consumption allows efficient energy management. 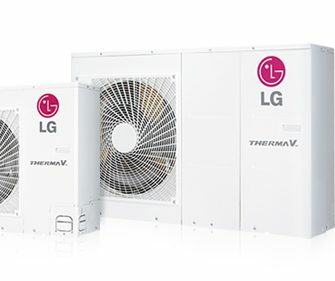 LG Therma V R32 air source heat pump can be connected to an existing heating system to optimize energy efficiency and heating capacity for existing houses.